Robert Rubinstein, the executive director and 30-year veteran of the Pittsburgh Urban Redevelopment Authority [URA], will step down in the coming months. Rubinstein will stay on in a leadership role after the authority’s board of directors hires his replacement, URA Board Chair Sam Williamson said Tuesday. URA Chief Communications Officer Gigi Saladna said Rubinstein is stepping down for personal reasons. He is not accepting interviews about the move. The URA is a city authority that has managed public efforts to redevelop brownfields and neighborhoods in Pittsburgh. Rubinstein was named executive director in February 2017 but has served in the position in an interim capacity since 2012. In that time, he has overseen the creation, implementation and management of more than 20 Tax Increment Financing (TIF) districts, according to a URA press release. In a TIF district, incremental real estate tax revenue can be used to pay for public or private improvements associated with a development. The URA is in the midst of completing a new strategic plan with HR&A Advisors, a consulting firm that contracted with the city on its bid proposal for Amazon’s HQ2 competition. Williamson said the plan will likely come out this summer. Among the URA’s main initiatives is the rollout of the inaugural $10 million for Pittsburgh’s Housing Opportunity Fund, which is funded by real estate transfer taxes. Williamson said he doesn’t expect the URA’s recent focus on affordable housing and equitable development to change. Mayor Bill Peduto praised Rubinstein in an emailed statement. 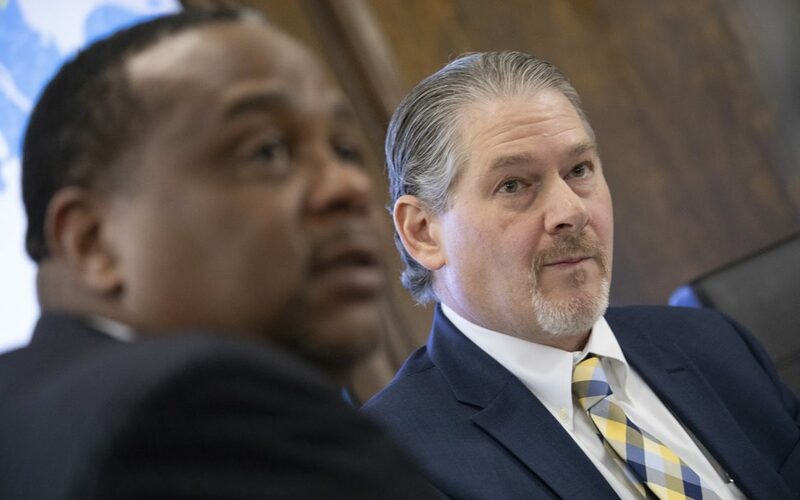 "I want to thank [Rubinstein] for his years of leadership on behalf of city residents, communities and businesses, and his dedication to URA staff,” Peduto said in the statement. “Pittsburgh wouldn't be what it is today without him. I look forward to working with Robert in his new role." The mayor’s office declined to provide additional comment.